NGCPâ€™s newest facility, the Calong-calongâ€“Toledoâ€“Colon 138-kiloVolt transmission project, energized on August 22, will directly benefit the provinces of Cebu and Bohol and all power users in the two islands. 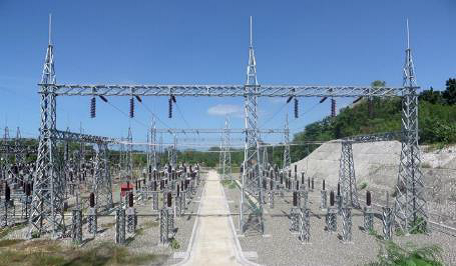 The National Grid Corporation of the Philippinesâ€™ (NGCP) newest facility, the Calong-calongâ€“Toledoâ€“Colon 138-kilovolt (kV) transmission project, will be available to power consumers in Bohol and Cebu, an official of the company said. According to Betty Martinez, NGCP communications and public affairs officer, Bohol consumers will benefit from the facility if distribution utilities in the province will purchase power supply from them. Through a submarine cable, power from the said facility will be directed to the NGCPâ€™s Ormoc-Maasin substation 138 KiloVolt line. The Ormoc-Maasin transmission then sends power supply to Bohol through another submarine cable, Martinez said. The newly built facility will only cater to Bohol and Cebu since there are multiple power sources in Panay Island and Negros, such as solar power and another new NGCP power plant, she added. Meanwhile, the NGCP continues to build the second line from the Ormoc-Maasin substation to Ubay. The company is also moving to put in place another submarine cable which would directly transfer power supply from Cebu to Bohol. Martinez noted that the development of the Toldeo, Calong-calong and Colon substations is a part of the NGCPâ€™s 52-kilometer transmission line project which is designed to improve the Visayas grid. It will also include the setting up of the 246-MegaWatt power plant of the Cebu energy Development Corp. and the 82-MegaWatt coal-fired power plant of the Toleda Power Company. The Chatto administration in Bohol has been mulling the establishment of the provinceâ€™s own power source as current supply in the province remains insufficient. oven, computers. How is this going to change cost. I was in northern Bohol near Trinidad .The cost there is too high. In the day time the lighting in a darker store is not very good and I needed a flashlight to make out the products. In the evening the lighting is poor and it seems that by 9oclock most places ,.in the houses, have turned off. I believe Bohol needs a power plant , perhaps in northern Bohol away from tourist areas. Maybe on an off coast island.Coal is the cheapest way to go..